No temptation has taken you except what is common to man. Jesus told us in John 16:33 that in the world we will have trouble. Sadly, bad things do happen to good people. We all experience heartache, loss and pain as a result of the fallen world we live in. But Jesus goes on to encourage us that we can be glad because He has overcome the world! In today's Scripture, the Apostle Paul tells us that we will not be tested with any temptation or trial more than we are able to endure. There may be circumstances in our life that rage against this promise, but hold onto the promise that God's grace is sufficient in every trial. He will give you the grace to endure and He promises to provide you with a way of escape when the load gets beyond what you can deal with. 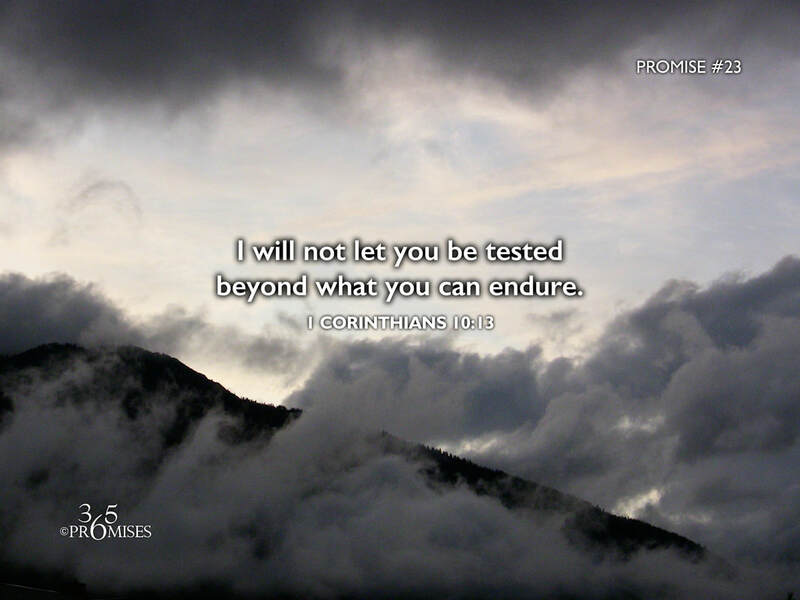 If you are in the midst of great trials and challenges in your life today, my prayer is that our God and Father would comfort you and strengthen you with the promise that you will not be tested beyond what you can endure. And I also pray that He will provide you with a way of escape for every trial that you face.